I would like to contribute to Black History Month by highlighting men and women of excellence, and when possible, of Christian character. I will intentionally avoid Marxists, Socialists, Liberation Theologians and those who advocate (or participated in) the murder of innocent people. Angela Davis comes to mind, a celebrated terrorist. Today’s Christian celebration of Black History Month is the often forgotten Charles Octavius Boothe. “Charles Octavius Boothe (1845–1924) was a reluctant teacher. To spare others his frustration with learning and teaching from books laced with dense theological rhetoric, Boothe wrote Plain Theology for Plain People. Boothe wrote for the average sharecropper. He accommodated an unlearned audience that included pastors, teachers, and community leaders born into poverty with little access to education. While leaders and laity alike desperately needed biblical and theological truth, they had little time, energy, and resources to pursue education. “The doctrines of our holy religion need to be studied in order, according to some definite system,” he wrote, “but simplicity should prevail—simplicity of arrangement and simplicity of language.” Thus, Boothe set out to write a succinct and accessible theological handbook. WHO WAS CHARLES OCTAVIUS BOOTHE? On June 13, 1845 Charles Octavius Boothe was born in Mobile County Alabama. He was the legal property of Nathaniel Howard. As a slave he was treated relatively mildly. “I think I can say that [my master] and I really loved each other,” he wrote. Nevertheless, he was a frank critic of slavery. He indicted all white Americans for imposing barbarous conditions upon his people. Proponents of slavery argued that God used the practice to bring blacks to salvation; in contrast, Boothe contended that the gospel spread to slaves despite chains and oppression. “As for you, you meant evil against me; but God meant it for good, to bring it about that many people should be kept alive, as they are today.” (Gen 50:20 ESV). God takes no pleasure in the denial of his image; yet nothing prevents his will. Nearly four million slaves were freed by the Emancipation Proclamation in 1865. Still, blacks remained captive to social and economic norms that complicated daily life. Legislation did not eradicate four hundred years of white contempt. Former slaves had few skills, resources, and institutions to support themselves. Due to these economic challenges, sharecropping—freed slaves rented and tended part of a white farmer’s land in exchange for a variable percentage of its yield—became a common practice for blacks. They still lacked the means to be truly independent. Boothe learned how to read at a young age. At the age of three he learned the alphabet from the lettering of a tin plate. His ability was nurtured by several teachers who boarded at the estate where he was enslaved. As a teenager, Boothe worked as a clerk at a local law firm. He explored Scripture on a regular basis, because mid-nineteenth-century legal practice was rooted in biblical logic. As he became increasingly conversant with the Bible, his faith matured. From childhood he prayed and heard the Bible read, but Boothe said that “In 1865 … I reached an experience of grace which so strengthened me as to fix me on the side of God’s people.” In March of 1866 he received baptism. For Boothe the church must play a crucial role in racial uplift. He established and pastored two churches: First Colored Baptist Church in Meridian, Mississippi, and Dexter Avenue Baptist Church in Montgomery, Alabama. Dexter Avenue Baptist Church was always a pillar in the Montgomery community, but in recent decades, it has become internationally renowned for its role in the Civil Rights Movement under the leadership of its twentieth pastor, Martin Luther King, Jr. (1929–1968). It has been renamed King Memorial Baptist Church. In the years following Emancipation, the church became the epicenter of the black community. The church was the sole institution that African Americans controlled, and it was central to the black community—not only as a spiritual outpost, but also as a social hub and political nerve center. Often the most educated people in the black community were pastors who had the rhetorical skill necessary to advocate for their congregants. Moreover, full-time ministers at large churches were uniquely situated to advocate for racial justice. They were financially independent from whites, so they could represent blacks on social issues without fear of lost wages—though they could suffer other forms of retaliation like church burning, physical violence, and intimidation. Ordained ministers like Boothe played a significant role in elevating literacy rates among black Southerners from 10 percent in 1860 to nearly 43 percent in 1890. Boothe promoted literacy so former slaves could read the Bible and break free of the oppressive interpretive practices that made the Christian faith a tool to subjugate blacks during slavery. By reading the Bible for themselves blacks could escape manipulative interpretations that were used to foster docility in slaves and make obedience to their masters synonymous with obedience to God. He engaged society based on the biblical premise that all people are granted equal dignity as divine image bearers. Boothe’s theological convictions compelled him to be vocal concerning immigration. 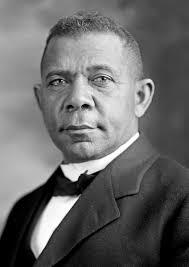 In 1901 he joined Booker T. Washington (1856–1915) to oppose Alabama’s legal disenfranchisement of blacks. Boothe established institutions vital for blacks to flourish beyond slavery’s chains. He taught for the Freedmen’s Bureau, which supported black education and provided emancipated slaves food, shelter, medical care, and legal assistance. As a member of the Colored Baptist Missionary Convention, Boothe facilitated literacy programs and theological training for black preachers and laypeople. In 1878 he and other convention leaders founded Selma University; he served as its second president (1901–1902). Boothe also served as the editor of The Baptist Pioneer, which helped underwrite Selma University. In his life and ministry Boothe emphasized interracial cooperation—even though he ministered during the onset of Jim Crow Segregation and at the height of lynching terror—perhaps in part because as a boy Boothe had had positive interactions with whites. At a Baptist church near his home, whites and blacks worshiped together, served each other, and washed each other’s feet. Whites and blacks alike sought out his grandmother, a respected woman of prayer, for comfort during times of sorrow. So he cooperated with those willing to support black social advancement and combat racial oppression despite their race. Boothe worked collaboratively with white Baptist groups like the Alabama Baptist Convention (of the Southern Baptist Convention), the American Baptist Home Missionary Society, and philanthropists to obtain funding for training ministers and for the operating expenses of Selma University. After decades of pastoral ministry, educational innovation, and public engagement, Boothe doubted the effectiveness of his efforts for racial reconciliation in the South. The pace of change was slow. In 1910—just before the Great Migration (1915–1930), when 1.6 million blacks moved from the rural South to Midwestern and Southern cities—Boothe moved to Detroit, where he died in 1924. Little is known of his time in Detroit—not even the precise date of his death. Walter R. Strickland II, “Introduction to Plain Theology for Plain People,” in Plain Theology for Plain People (Bellingham, WA: Lexham Press, 2017), vii–x. Peter Jones, The Other Worldview: Exposing Christianity’s Greatest Threat (Bellingham, WA: Kirkdale Press, 2015), 12. It seems that sides are being taken up, but I’m refusing to be a part of it. It is possible to think this: that to bring refugees who are adherents of Islam (which is by design a violent religion) into Canada is a very bad idea. I think it is a very bad idea. It is also possible to believe: that it is a cynical political ploy of of leaders in government to mask this immigration as “compassion.” I have no reason to think otherwise. It is also possible, probably necessary, to know: that violence and terror will get into Canada, and be carried out here. I am afraid this will happen–this is the direction of history. Again, it is also possible, while holding all of the above, to know: a number (small or large, majority or minority, I don’t know) of refugees are truly in need and escaping for their lives. It is possible to be fully conscious of these things, and even to disapprove of our government’s actions, and yet also accept that nothing happens outside the will of God, and that He has written the end of this story. Whether or not we approve of it, the mission has arrived in Canada. It is possible, at the same time and in the same head, to be skeptical of motives, cynical, fearful, concerned, realistic, angry, sympathetic, welcoming, loving, and Gospel-preaching. For this is the mind of the Christian. I see no need to sign petitions welcoming or refusing refugees. Just be Christian, no matter what comes.